I’ve been wanting to talk more about my experience running my own business because it’s a huge reason why I decided to start blogging again. Having a space to connect with other creatives and small business owners, share our experiences and most importantly support each other, is a major reason why I put so much energy into social media and my blog. Today I want to share a fellow female business owner with you. Rachel from Zoe Jewelry Designs and I connected on Instagram the other week. She shared her beautiful handmade jewelry business with me and we spent some time chatting about being small business owners and what it can be like in the early stages of a new business. I recently received the necklace I ordered from Rachel and fell in love with it. I love dainty pieces like hers and the feather pendant was right up my alley. She has several other cute pieces on her Etsy Shop and many of them are currently 10% off — plus you can get an additional 10% off by entering the code WELOVEYOU at checkout! My next purchase from Rachel will definitely be one of her gemstone bracelets! 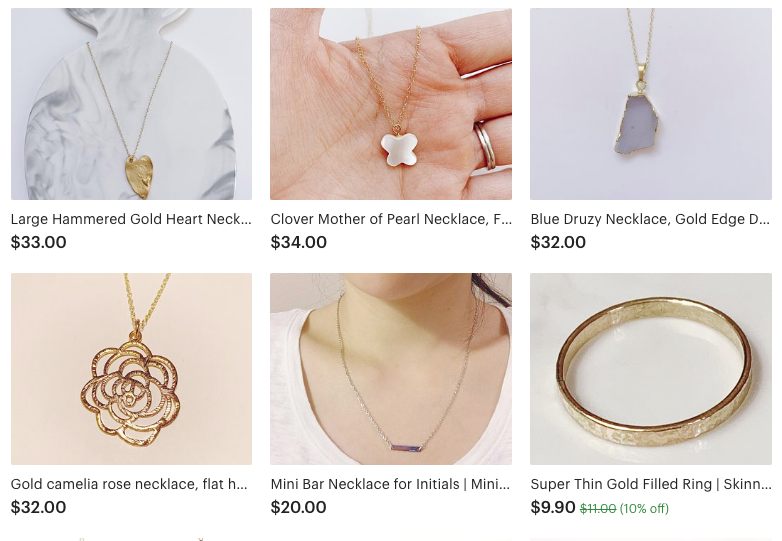 If you’d love to support another female small business owner, you can check out Rachel’s Instagram over at @zoejewelrydesigns and her Etsy Shop Zoe Jewelry Designs to give her some love! As both a business owner and a blogger myself, I know how difficult it can be in the beginning. Exposure is key and it’s not easy to do it alone. I want to help other women get the recognition they deserve and show support for their hard work. Having an online presence in the form of a blog or business is a wonderful tool for growth and sales, but it can certainly be challenging at times. I truly believe so many great things can come from us spreading the word and supporting each other here! Rachel’s feature and my desire to share more about running a small business inspired me to create a new series here and on Instagram, featuring female bloggers and business owners on a bi-weekly or weekly basis. There are some incredible women I’m going to be featuring here soon and I’m so excited to share them with you all over the next several weeks! If you or someone you know is a small business owner leave their business or blog below — I’d love to check out and support their blog or business however I can!